FUNERAL director William Quek, 55, sees his family business not as a money-making venture, but one that "helps grieving families gain closure". Not only does the owner of Union Casket in Toa Payoh arrange free funerals for destitute old folk, but his daughter also provides grief counselling for those who have lost their loved ones. Yesterday, Mr Quek, who has run Union Casket for about 20 years, emerged as one of the 53 winners at the inaugural Singapore Heartland Enterprise Award. 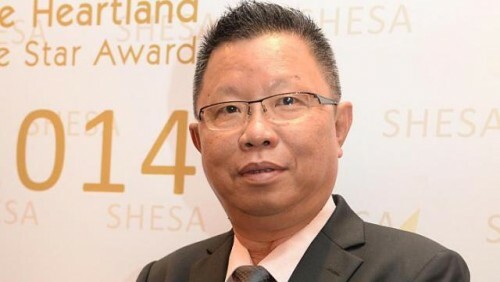 His business, along with five others, clinched the Heartland Heritage Enterprise Award, given to long-standing heartland businesses that are "experts in the trade" and have "conserved a legacy in Singapore for more than 20 years", said organisers. The awards were jointly organised by the Federation of Merchants' Associations, Singapore (FMAS) and Chinese evening daily Lianhe Wanbao. They were mooted to "recognise the contribution of heartland businesses to the community", said FMAS vice-chairman Peter Lim, who came up with the idea for the event and aims to make it an annual affair. "Through this, we can also raise the profile of small local enterprises that do well but cannot expand due to capital constraints," he said. Minister for Education Heng Swee Keat, the event's guest of honour, said the winners were an "important part of our business and social fabric". "Life in Singapore would be very different without neighbourhood stores to offer essential products and services at our convenience with a personal touch," he told an audience of 800, which included local entrepreneurs and civil servants. Mr Heng also urged the businesses to tap on government schemes to "get more customers, serve (them) better and run (their) businesses smarter". He cited the example of fishing tackle shop E-waves Fishbyte, which set up a basic online store earlier this year to draw more customers. It applied successfully for a government scheme to fund innovation to offset set-up costs. Other awards were given out for things such as best customer service, which went to food operator Chang Cheng, which runs 29 coffee shops. Founder Ricky Kok, 45, said it has focused in recent years on improving customer service through training for its 1,500 staff, among other things.